Food poisoning is a fairly common affliction in the United States. Every year, one in six Americans are affected by foodborne illnesses, according to the U.S. Centers for Disease Control and Prevention. That equates to 48 million Americans, of whom 128,000 are hospitalized and 3,000 die. 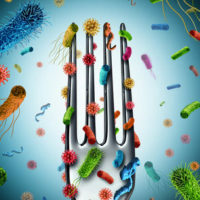 There are many different bacteria, viruses and parasites that can contaminate food, which means there are many different types of foodborne illnesses. Examples include salmonella, E. coli, norovirus, vibrio, listeria and staph. In November 2016, 149 children became sick after eating food prepared by a South Florida caterer, Healthy Children Catering. The contaminated meals were prepared for ten daycare centers in Miami-Dade and Broward counties. According to the Florida Department of Health, the caterer made food preparation mistakes that exposed the children to staph bacteria in ham and turkey sandwiches. Symptoms usually develop between 30 minutes and six hours and may include diarrhea, nausea, stomach cramps and vomiting. In February 2017, more than 30 people (28 of them children) were taken to the hospital with a foodborne illness contracted at a science competition. They had eaten pulled pork, which was contaminated by staph bacteria. Note that the food was provided by volunteers and not Florida Gateway College where the competition was held. There were about 200 total people at the competition, including students, teachers, and college staff. Staph is found on the skin and in the nose of almost 25 percent of healthy humans and animals, according to the U.S. Centers for Disease Control and Prevention. Carriers can contaminate food if they don’t wash their hands before handling it. Staph is also found in unpasteurized milk and cheese products. Florida restaurants have a duty to exercise reasonable care in operating their businesses. In other words, Florida law requires restaurants to maintain a safe and clean environment and to eliminate unreasonable dangers to consumers. No one who eats at a restaurant should have to worry about food contamination. The first thing you should do if you suspect you have eaten contaminated food is to seek medical attention. Then you should contact an experienced personal injury attorney, who can help determine if you have a cause of action and identify the parties potentially responsible for your medical expenses and other damages. A food poisoning case is a products liability claim, which essentially means that the food is a defective product that caused your injury. There are three legal theories that could apply to your products liability lawsuit: strict liability, negligence or breach of warranty. If you became sick after eating contaminated food or drinking a contaminated beverage, contact a Fort Lauderdale personal injury attorney at The Pendas Law Firm today for a free consultation. We will help you recover the damages that you deserve, including medical expenses. The Pendas Law Firm also represents clients in the West Palm Beach, Orlando, Fort Myers, Miami, Jacksonville, Tampa, Daytona Beach and Bradenton areas.